Tuesday's rock! 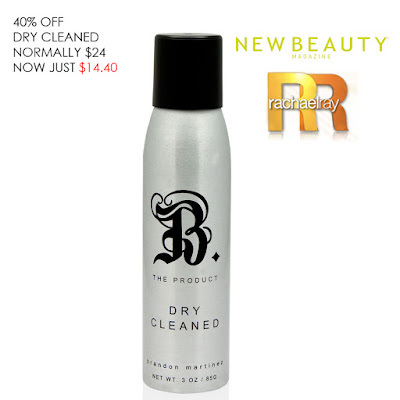 Get our highly popular Dry Cleaned, Dry Shampoo right now for 40% OFF! Normally $24, now just $14.40. This special is happening till Saturday, February 13th 2016. B. The Product's Dry Cleaned is a clear and volumizing Dry Shampoo that won't leave a layer of powder on your hair or anywhere else. Never used Dry Shampoo? Watch here to see how it works.